Do you feel stressed out all the time? Trouble sleeping? Restless legs at night? Not sure why you feel tired so often? All of this could be due to a magnesium deficiency. There is simply no way you can be your best self without enough magnesium. 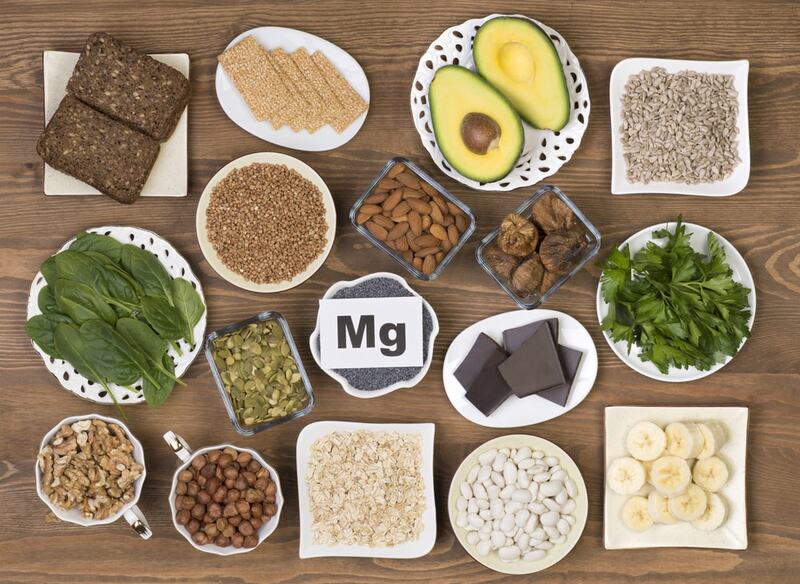 The bad news is, most people have a magnesium deficiency. But here's the good news: this problem is easily fixable. Of course, these symptoms can also be due to other causes. But if you notice that you've experienced more than one of these symptoms for an extended period of time – and you aren't sure why – a magnesium deficiency could very well be the case. In some cases, magnesium deficiency is caused by an illness or aging. But in the vast majority of cases, it is our diets that cause magnesium deficiency. Processed food is a major part of the average person's diet. According to marketplace.org, processed food makes up about 70% of the average American's diet! As you can probably guess, these processed foods don't provide you with nearly enough magnesium. But that's not all. It turns out that processed food can actually increase your body's need for magnesium. So not only do you not get enough magnesium from your diet, but your diet ends up making you need even more magnesium than normal! For example, if you eat a lot of saturated fat (which is VERY common in processed foods), your intestines will require additional magnesium for digestion. But you aren't even getting your minimum recommended amount of daily magnesium. This quickly leads to a magnesium deficiency. Have you heard of “water softening”? It's a process in which your drinking water gets treated to eliminate certain minerals. This is done to make it more useful for cleaning and other purposes. But it also means that the water you drink is stripped of magnesium. Water is naturally a source of magnesium, and so this further adds to the depletion in your body. The fact is, calcium supplements can deplete the amount of magnesium in your body. We would never suggest to avoid taking calcium. It's often necessary – especially for women reaching menopause. But be careful to limit the amount of calcium you take to only what you need. Some calcium supplements provide many times more than the daily recommended amount. This does nothing to help you, and can create a magnesium deficiency. Many prescription medications lead to a reduction in magnesium. Unfortunately this is unavoidable, as these medications are often necessary for our overall health. But the good news, again, is that you can still correct the deficiency with a diet change and with the right magnesium supplement. Currently the medical diagnostic tests for magnesium deficiency are not that accurate. This is partially because most of your magnesium gets stored in bones and muscle tissues, rather than in your blood. That makes it hard for a blood test to give you good information about your magnesium levels. The best way to tell is to start increasing the amount of magnesium in your diet, and through supplementation. If you notice an improvement in your symptoms (described above), chances are you have been magnesium deficient. The two main methods for fixing your deficiency are 1) changing your diet, and 2) using a supplement. Both are usually necessary for full recovery. In terms of diet, the fix is twofold: eat less processed food and more magnesium-rich foods. It goes without saying that soda, crackers, chips, microwaveable meals, and the like are all highly processed and cause a deficiency. You can go a long way toward correcting your magnesium problem through diet. But a good supplement will greatly accelerate the process. Pill supplements can have mixed results. A quality pill that is absorbable will help, but lesser quality pills will give you nothing more than “expensive pee”. Topical supplements (applied to skin) are a much better option. In most cases you simply spray it on an area of your skin with lots of blood vessels beneath it, such as the bottom of your forearm. Then you rub it in so it gets absorbed directly into your bloodstream. This is a much more efficient and effective way of taking magnesium, as compared to absorbing it through your digestive system.